Such Personages are rare and superior to Moses, Pythagoras, and Confucius, who “have taken rank in history as demi-gods and leaders of mankind” (Isis 2:159). Lao Tzu was the resuscitator of Taoism, the practical philosophy and religion of The Way. Taoism is the ancient Wisdom-Religion of Theosophy. The Great Ones of old, described as Original Teachers, and They, as all Theosophists know, exist today and always will. Lao Tzu was the most famous philosopher, mystic and alchemist in China. He is the author of the Tao Te Ching or the Way. He is regarded as one of the foundation stones of Taoism. Olivia Bouler, an animal rights activist. Lao Tzu interpreted the Tao as a way, the essence of the Universe. In a written poem Lao Tzu described “the Way” as the emptiness that cannot be filled, but from which everything manifests. In his most famous image, Lao Tzu is portrayed as riding a buffalo, because the domestication of this animal is associated with the Path of Enlightenment in Zen Buddhist traditions. Appropriate rituals channel your emotions and life energy toward the light. Without the discipline to practice them, you will tumble constantly backward into darkness. NEITHER the media nor the churches seem to know anything about the real Jesus, so we decided to enter the fray as self-proclaimed truth-seekers, based upon ancient mystical and mythical teachings and traditions. So popular was the article, that the runner-up news magazine, bloggers noted, was forced to disable comments on the Jon Meacham lead article. But such is still the power of Christianity and Christmas today, especially in the United States, that no professed Christian will challenge the veracity of its own origins. God only knows what results a similar survey today would yield. Well, SHE might not know or care, but the PRRI (Public Religion Research Institute) a nonprofit, nonpartisan organization dedicated to conducting independent research at the intersection of religion, culture, and public policy, cares quite a lot. Based on findings from PRRI’s 2016 American Values Atlas, the single largest survey of American religious and denominational identity ever conducted. This landmark report is based on a sample of more than 101,000 Americans from all 50 states White Christians now account for fewer than half of the public. Today, only 43% of Americans identify as white and Christian, and only 30% as white and Protestant. Yet as is always the case, the perennial occult Theosophy, re-presented by H. P. Blavatsky, has never agreed with the Christian ideology around Jesus, and its resulting co-opting of special seasons. “You must not think that the gods are without employment,” declared Synesius, the Greek bishop of Ptolemais. The idea is developed by theosophist W. Q. Judge in his article “Cycles,” featuring the self-chosen duty of the ancient gods to watch over humanity. Sounds an awful lot like the character of Jesus in Christian tradition. In truth and fact, this tradition relates to certain advance spiritual beings who are real men and women who care for the spiritual survival of humanity. Certain god-like human beings are known in Theosophy as Mahatmas. No better description can be pointed to than that of theosophist W. Q. Judge, in “The Mahatmas as Ideals and Facts,” where he explains the Sanskrit meaning of the term. Not because they are made of different stuff and are of some strange family, but just because they are of the human race. This is quite a mystical and mysterious tradition for most people today who look to “Churchianity” for their religious traditions and truths. Tom Harpur, ex-Anglican minister and author of “The Pagan Christ”, discusses his discovery of the pagan origins of Christianity. …for the preservation of the just, the destruction of the wicked, and the establishment of righteousness. The first 5000 years of Kali-Yuga ended around the year 1898, marking a critical cycle for humanity. Anticipating this event, the Theosophical Movement of the modern era was re-established by The Sacred Tribe through their chosen agent H. P. Blavatsky, on November 17, 1875.
a ‘climatic optimum’ existed during which the world climate was much warmer than at present. each accompanied by the wars and migrations of peoples which we know in history. And now, when climate warming seems to be inexorably re-establishing itself, due once again to the actions of people. Cycles indeed rule. 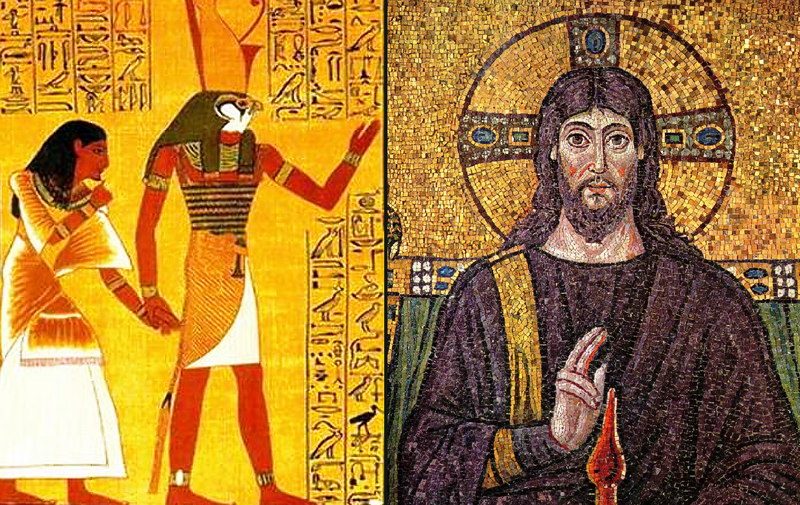 See: Did Jesus Exist and Who Is the Christ? NEW YORK CITY is the birthplace of modern Theosophy, launched on November 17, 1875, by H. P. Blavatsky, William Q. Judge, and Colonel Henry S. Olcott. Theosophy Hall NYC is the home of The United Lodge of Theosophists an association of students independently devoted to original Theosophy, unattached to any Theosophical organization. ULT Meetings are free and open to all without distinction of race, creed, gender ID or organization. Free classes in H. P. Blavatsky’s monumental work The Secret Doctrine are offered every week, as are all original teachings of Theosophy recorded in the writings of H.P. Blavatsky and William Quan Judge. Also offered at Theosophy Hall are recurring studies in The Bhagavad-Gita, Patanjali’s Yoga Aphorisms, The Dhammapada, The Light of Asia, and other original works of perennial Theosophy. “The most intelligent being in the universe, man, has never been without a friend but has a line of elder brothers who continually watch over the progress of the less progressed. The term Mahatma has come into wide use as Mme. H. P. Blavatsky constantly referred to them as her Masters who gave her all the knowledge she possessed. “They were at first known only as the Brothers, but afterward, when many Hindus flocked to the Theosophical movement, the name Mahatma was brought into use, inasmuch as it has behind it an immense body of Indian tradition and literature. The ancients taught that the course of evolution is the drama of the soul and that nature exists for no other purpose than the soul’s experience. There must be beings in the universe whose intelligence is as much beyond ours as ours exceeds that of the black beetle, and who take an active part in the government of the natural order of things. “They preserve the knowledge gained through aeons of trial and experience and continually seek for opportunities of drawing the developing intelligence of the human race on this or other globes to consider the great truths concerning the destiny of the soul. “Every system of thought, science, religion, government, and society is changing, and man’s mind is only preparing for an alteration into that state which will permit the human race to advance to the point suitable for these elder brothers to introduce their actual presence to our sight. Ancient Greece, the Torch of Truth. “They may be truly called the bearers of the torch of truth across the ages. They investigate all things and beings. They know what man is in his innermost nature and what his powers and destiny, his state before birth and the states into which he goes after the death of his body. “They have stood by the cradle of nations and seen the vast achievements of the ancients, watched sadly the decay of those who had no power to resist the cyclic law of rise and fall. While cataclysms seemed to show a universal destruction of art, architecture, religion, and philosophy, they have preserved the records of it all in places secure from the ravages of either men or time. “We never pretended to be able to draw nations in the mass to this or that crisis in spite of the general drift of the world’s cosmic relations. The cycles must run their rounds. Periods of mental and moral light and darkness succeed each other as day does night. THE most intelligent being in the universe, man, has never been without a friend, but has a line of elder brothers who continually watch over the progress of the less progressed. The term Mahatma has come into wide use as Mme. H. P. Blavatsky constantly referred to them as her Masters who gave her all the knowledge she possessed. They were at first known only as the Brothers, but afterwards, when many Hindus flocked to the Theosophical movement, the name Mahatma was brought into use, inasmuch as it has behind it an immense body of Indian tradition and literature. The ancients taught that the course of evolution is the drama of the soul and that nature exists for no other purpose than the soul’s experience. They preserve the knowledge gained through aeons of trial and experience, and continually seek for opportunities of drawing the developing intelligence of the human race on this or other globes to consider the great truths concerning the destiny of the soul. They keep the knowledge they have gained of the laws of nature in all departments, and are ready when cyclic law permits to use it for the benefit of mankind. They have always existed as a body, all knowing each other, no matter in what part of the world they may be, and all working for humanity in many different ways. It would be subversive of the ends they have in view were they to make themselves public in the present civilization, which is based almost wholly on money, fame, glory, and personality. Every system of thought, science, religion, government, and society is changing, and man’s mind is only preparing for an alteration into that state which will permit the human race to advance to the point suitable for these elder brothers to introduce their actual presence to our sight. They may be truly called the bearers of the torch of truth across the ages. They investigate all things and beings. They have stood by the cradle of nations and seen the vast achievements of the ancients, watched sadly the decay of those who had no power to resist the cyclic law of rise and fall. While cataclysms seemed to show a universal destruction of art, architecture, religion, and philosophy, they have preserved the records of it all in places secure from the ravages of either men or time. H. P. BLAVATSKY understood America because she loved America. This loving understanding of the American culture and temperament in the light of the marvelous knowledge which was hers, has graciously provided for the students of Theosophy everywhere in the world. But more especially in America, hints, warnings, suggestions and, above all, inspiration for their labor on behalf of the Sacred Cause. To the students of Theosophy in America, these Letters are of special value and significance at the present time. In conducting their own lives and tasks as well as in helping their fellow men in all fields of activity, they will receive from these thoughtful and stirring words real help themselves, and that of an unique character. In these days of constant struggles of many and diverse kinds, when a myriad remedies are suggested and advocated for our ills physical and psychical, moral and mental . . . puzzled by the strange working of Mother Nature . . . These wonderful Messages of one whose wisdom and compassion stirred her to point the finger of warning and at the same time to stretch out the hand of fellowship and sure guidance, ought to be read, studied; nay, meditated upon. BIRTH on this physical plane, of the modern Theosophical Movement, occurred in New York City 141 years ago on November 17th in the year 1875. Its reemergence had been carefully and wisely planned, behind the scenes, by those called the Elder Brothers of Humanity. The term Mahatma has come into wide use because Mme. H. P. Blavatsky constantly referred to them as her Masters who gave her all the knowledge she possessed, he said. They were at first known only as the Brothers, but afterwards, after many Hindus flocked to the Theosophical movement, the name Mahatma was brought into use, inasmuch as it has behind it an immense body of Indian tradition and literature. “They keep the knowledge they have gained of the laws of nature in all departments, and are ready when cyclic law permits to use it for the benefit of mankind. They have always existed as a body, all knowing each other, no matter in what part of the world they may be, and all working for humanity in many different ways. “It would be subversive of the ends they have in view were they to make themselves public in the present civilization, which is based almost wholly on money, fame, glory, and personality. Such Personages are rare and superior to Moses, Pythagoras and Confucius, who “have taken rank in history as demi-gods and leaders of mankind” (Isis 2:159). Lao Tzu was the most famous philosopher, mystic and alchemist in China. He is the author of the Tao Te Ching, or the Way. He is regarded as one of the foundation stones of Taoism.